The revolutionized era of the internet has led to the development of e-commerce. People start their first e-commerce business with full enthusiasm. They enter the virtual world without having any idea about Content Management System or CMS’s. Websites developed by WebAppMate are powered by Magento services. Despite having an amazing range of product or service and high level of enthusiasm, their business takes off smoothly but is not able to achieve great heights of success. 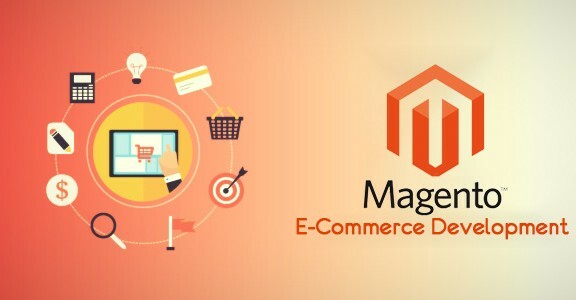 The team of WebAppMate is highly experienced in the domain of Magento E-Commerce Development services. A thorough analysis of this situation throws light on one major factor. The main reason that their business crashed was that they entrusted the most important task of development of their website to a company or a freelancer developer who did not provide the correct platform that is essential for an online store. This led to a lower conversion rate, slow webpage, basically, the visitors were not happy to navigate your website. After an exhaustive evaluation, you discover that all profitable websites use Magento. It is the leading e-commerce platform that enhances the working of your website. •	Offer a wide range of payment method –credit card, PayPal, Google, Amazon etc. Once you have made up your mind to switch to Magento. You can hire expert developers and designers of WebAppMate. We have an expert team of professional software has in-depth knowledge. We will develop and maintain your website in such a way that it will boost up your conversion rate. At WebAppMate our professional programmers will create a website for your company that is powered by Magento. Our developers and designers provide the highest quality service and support. We have satisfied more than 400 clients from US, UK, Australia, and India. It is suitable for any segment and any size business. We offer an excellent service that is client-oriented and improves the overall performance of your website with its advanced features and functionalities. Magento offers unique features that organize and manage your website in a proper, systematic way. The team of WebAppMate ensures that our customers are able to gain maximum profit from the utilization of Magento tools. It offers unique features that organize and manage your website in a proper systematic way. We offer efficient-time management and quality results to accelerate their business. WebAppMate provides services to the customers at an affordable rate without any hidden costs and surcharges. We offer the convenience of choosing between one –time payment mode or a pack of a monthly subscription. If you desire to implement all these progressive Magento 2 Development Service features on your website associated with WebAppMate. Our skilled designers and developers have extensive knowledge and offer outstanding services.